Despite projections that call for modest growth for smartphone sales throughout the year, consumer demand and interest in new devices appear to be dropping. Using data from more than 600,000 customer reviews posted since January 2014, Argus Insights has found that demand for new phones has dropped significantly since January 2015. In fact, U.S. demand for smartphones is down 8% compared with the same period last year. 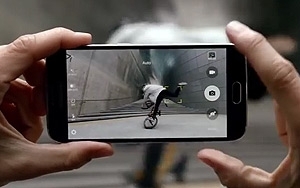 Although Samsung and Apple maintained top spots when it came to consumer interest, Samsung fell short of expectations after introducing the Galaxy S6 and S6 Edge in April. Apple, on the other hand, still maintained interest months after the release of its iPhone 6, Feland says. The findings suggest the market has reached a saturation point after years of popularity, Feland says. It’s now up to the smartphone makers to understand exactly what consumers want from new devices and truly innovate around those desires. Even the rise of wearables (the brightest shiny object in the consumer electronics industry) will not give consumers reasons to purchase a new phone, unless someone comes up with a “killer app,” Feland says. The next step will likely be to have phones working more proactively to address consumer needs as (or even before) they arise (something akin to Amazon’s Echo voice-recognition device), he says.